Our cast Bali style cast beads are made in Turkey. These bead designs predate modern borders and originate from ancient cultures across Asia and the Middle East. We have sourced these high quality Turkish beads for decades. The quality and detail are excellent. 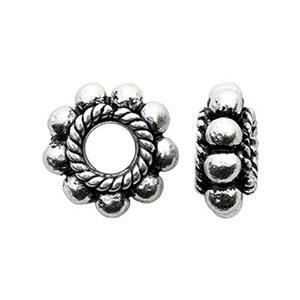 These small spacers and design beads are ideal for tribal or rustic styling. 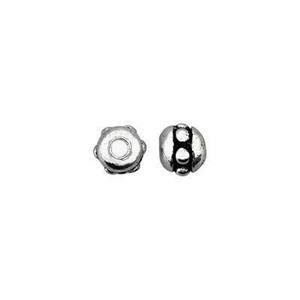 Shop our complete selection of wholesale beads.